Absinthe is historically described as a distilled, highly alcoholic (45–74% ABV / 90-148 proof) beverage.It is an anise-flavoured spirit derived from botanicals, including the flowers and leaves of Artemisia absinthium (a.k.a. “grand wormwood”), together with green anise, sweet fennel, and other medicinal and culinary herbs. Absinthe traditionally has a natural green colour but may also be colourless. It is commonly referred to in historical literature as “la fée verte” (the green fairy). Although it is sometimes mistakenly referred to as a liqueur, absinthe is not traditionally bottled with added sugar, and is therefore classified as a spirit. Absinthe is traditionally bottled at a high level of alcohol by volume, but is normally diluted with water prior to being consumed. Absinthe originated in the canton of Neuchâtel in Switzerland in the late 18th century. It rose to great popularity as an alcoholic drink in late 19th- and early 20th-century France, particularly among Parisian artists and writers. Owing in part to its association with bohemian culture, the consumption of absinthe was opposed by social conservatives and prohibitionists. Ernest Hemingway, Charles Baudelaire, Paul Verlaine, Arthur Rimbaud, Henri de Toulouse-Lautrec, Amedeo Modigliani, Vincent van Gogh, Oscar Wilde, Aleister Crowley, Erik Satie and Alfred Jarry were all known absinthe drinkers. Absinthe has often been portrayed as a dangerously addictive psychoactive drug. The chemical compound thujone, although present in the spirit in only trace amounts, was blamed for its alleged harmful effects. By 1915, absinthe had been banned in the United States and in much of Europe, including France, the Netherlands, Belgium, Switzerland and Austria-Hungary. Although absinthe was vilified, it has not been demonstrated to be any more dangerous than ordinary spirits. Any psychoactive properties attributed to absinthe, apart from that of the alcohol, have been much exaggerated. A revival of absinthe began in the 1990s, following the adoption of modern European Union law food and beverage laws that removed longstanding barriers to its production and sale. By the early 21st century, nearly 200 brands of absinthe were being produced in a dozen countries, most notably in France, Switzerland, Australia, USA, Spain, and the Czech Republic. The precise origin of absinthe is unclear. The medical use of wormwood dates back to ancient Egypt, and is mentioned in the Ebers Papyrus, c. 1550 BC. Wormwood extracts and wine-soaked wormwood leaves were used as remedies by the ancient Greeks. Moreover, there is evidence of the existence of a wormwood-flavoured wine, absinthites oinos, in ancient Greece. The first clear evidence of absinthe in the modern sense of a distilled spirit containing green anise and fennel, however, dates to the 18th century. According to popular legend, absinthe began as an all-purpose patent remedy created by Dr. Pierre Ordinaire, a French doctor living in Couvet, Switzerland, around 1792 (the exact date varies by account). Ordinaire’s recipe was passed on to the Henriod sisters of Couvet, who sold absinthe as a medicinal elixir. By other accounts, the Henriod sisters may have been making the elixir before Ordinaire’s arrival. In either case, a certain Major Dubied acquired the formula from the sisters and in 1797, and with his son Marcellin and son-in-law Henry-Louis Pernod, opened the first absinthe distillery, Dubied Père et Fils, in Couvet. In 1805, they built a second distillery in Pontarlier, France, under the new company name Maison Pernod Fils. Pernod Fils remained one of the most popular brands of absinthe up until the drink was banned in France in 1914. 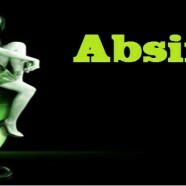 Absinthe’s popularity grew steadily through the 1840s, when absinthe was given to French troops as a malaria preventive. When the troops returned home, they brought their taste for absinthe home with them. The custom of drinking absinthe gradually became so popular in bars, bistros, cafés, and cabarets that, by the 1860s, the hour of 5 p.m. was called l’heure verte (“the green hour”). Absinthe was favoured by all social classes, from the wealthy bourgeoisie, to poor artists and ordinary working-class people. By the 1880s, mass production had caused the price of absinthe to drop sharply. By 1910, the French were drinking 36 million litres of absinthe per year, as compared to their annual consumption of almost 5 billion litres of wine. Absinthe was exported widely from its native France and Switzerland, and attained some degree of popularity in other countries, including Spain, Great Britain, USA, and the Czech Republic. In 1905, it was reported that Jean Lanfray, a Swiss farmer, murdered his family and attempted to take his own life after drinking absinthe. The fact that Lanfray was an alcoholic who had consumed considerable quantities of wine and brandy prior to drinking two glasses of absinthe was conveniently overlooked or ignored, therefore placing the blame for the murders solely on absinthe. The Lanfray murders would prove to be the tipping point in this hotly debated topic, and a subsequent petition to ban absinthe in Switzerland collected more than 82,000 signatures. A referendum was subsequently held on banning the drink on 5 July 1908. After it was approved by voters, the prohibition of absinthe was then written into the Swiss constitution. The Netherlands banned absinthe in 1909, Switzerland in 1910, the United States in 1912, and France in 1914. In May 2011 the French Absinthe Ban of 1915 was repealed following petitions by the Fédération Française des Spiritueux, who represent French distillers.